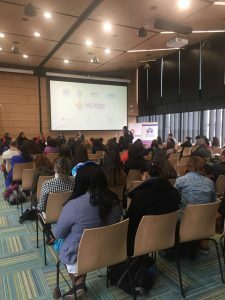 AIPR recently participated in an event entitled “Mujeres Entretejiendo Territorios de Paz” (Women Weaving Peace Territories), organized by The Office of the Ombudsman of Colombia, along with UN Women, Javeriana University, the Embassy of Sweden to Colombia and the Iberoamerican Federation of the Ombudsman (FIO) in Bogota, Colombia on March 8 and 9, 2017. In the context of International Women’s Day, the activity sought to explore the role that women have in the implementation of the Peace Accords, and their work in areas such as community participation, development, political action or access to justice that provide the basis for a sustainable peace. The event also served as a space for the presentation of the publication The Role of the Ombudsman in Transitional Justice Processes (in Spanish). The goal of this publication is to compile, for the first time in Latin America, information on the different actions and practices related to transitional justice processes that have been developed by various ombudsman institutions belonging to the FIO. In particular, it contains information on the experiences of ombudsman institutions in Brazil, Colombia, Ecuador and Guatemala. This collective exercise included the Colombian Ombudsman’s Office, the Federal Citizens’ Rights Prosecutor’s Office, the Ecuadorian Ombudsman’s Office and the Guatemalan Human Rights Ombudsman. It was made possible through the support of the Technical Secretariat of the FIO, PROFIO / GIZ and AIPR’s Latin American Program. AIPR would like to thank all of the institutions involved in the development and dissemination of this important document, in addition to Emilio Peluso Neder Meyer, Gabriel Rojas and Mariana Rezende Oliveira who, under the coordination of Dr. Clara Ramírez-Barat, worked on the drafting of this document. 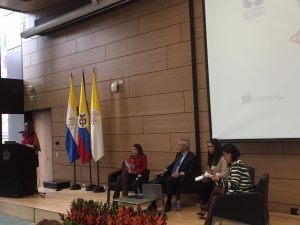 It is the hope of the Auschwitz Institute that the role of the ombudsman in transitional justice processes in Latin America will continue to be made visible and that these types of practices and projects will contribute to the dissemination of information and the continuation of projects in favor of Latin American countries. AIPR is committed to maintaining its work with all member countries of the Latin American Network for Genocide and Mass Atrocity Prevention towards the continued promotion of a prevention agenda and the strengthening of their institutions.